Latest & Greatest from Miller! 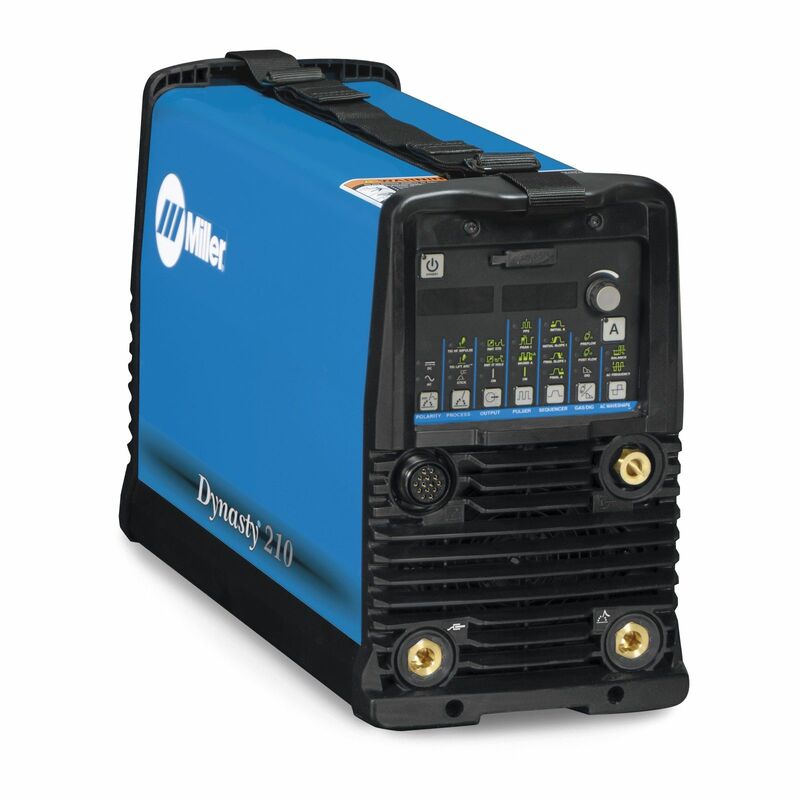 The Miller Dynasty 210 DX offers pulse on/off, pulse frequency, peak duty cycle, background amperage, initial amperage, initial slope time, final slope time and final amperage control. Lift-Arc starting provides x-ray clean welds in AC or DC arc starting without the use of high frequency. 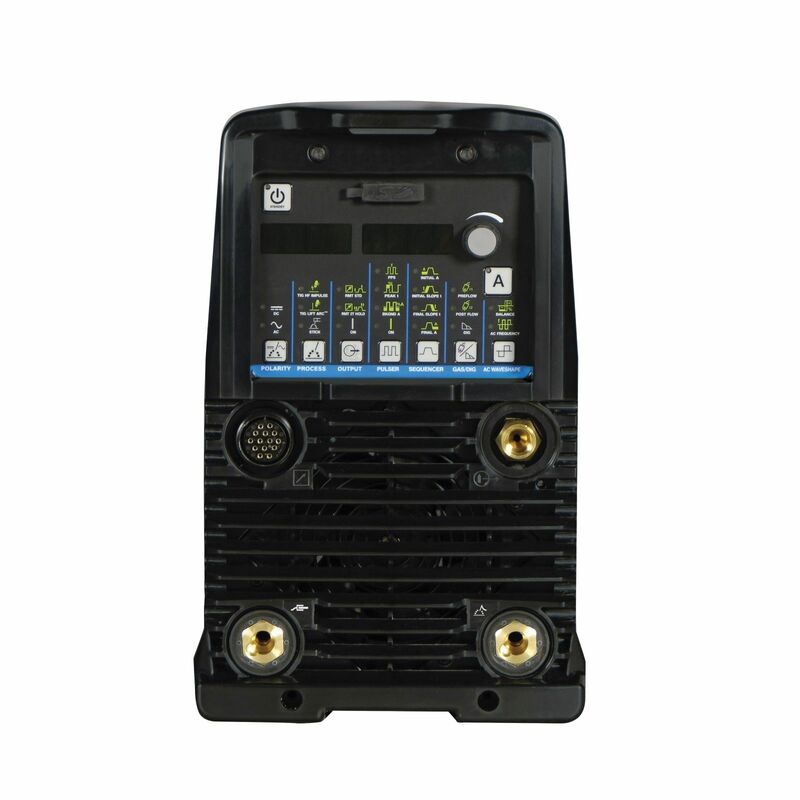 Allows for any input voltage hookup (115-480 V) with no manual linking, providing convenience in any job setting. Ideal solution for dirty or unreliable. • Advance Squarewave provides a fast freezing puddle, deep penetration, and fast travel speeds. • Soft Squarewave is used for a soft buttery arc with maximum puddle control and good wetting action. • Sine wave is for customers that like a traditional arc. It is quiet with good wetting. • Triangular wave reduces the heat input and is good on thin aluminum. It provides fast travel speeds. • Extended AC balance (30-99%) controls the amount of oxide cleaning (amperage time in EN) which is essential for high quality welds on aluminum. • AC frequency (20-250 hz) controls the width of the arc cone and the force of the arc. • DC TIG provides exceptionally smooth and precise arc for welding exotic materials. • Tailored arc control (DIG) allows the arc characteristics to be changed for specific applications and electrodes. Smooth running 7018 or stiffer, more penetrating 6010. • Hot Start adaptive control provides positive arc starts without sticking. • AC frequency control adds additional stability when Stick welding in AC for smoother welds. • Low OCV Stick is a simple design that reduces open-circuit voltage to 5-10 VDC when power source is not in use. This built-in circuit design eliminates the need for add-on voltage reducers. 5 stars - "Love this machine" Mark R. This machine has a huge amount of adjustability.